On May 28, seven high-ranking FIFA officials were arrested in Zurich on US federal charges, including fraud, racketeering, money laundering, as well as illegal marketing and broadcasting deals over the last 20 years. According to FIFA spokesman Walter De Gregorio, Blatter is not involved in the scandal. Switzerland has opened a separate investigation of alleged wrongdoing linked to the selection of countries to host the FIFA World Cup in 2018 and 2022. FIFA opened formal proceedings against former President Joseph Blatter, ex-Secretary General Jerome Valcke and ex-Deputy Secretary General Markus Kattner. The FIFA world football governing body’s Ethics Committee did not drop all corruption charges against former UEFA head Michel Platini accused of illegally receiving 2 million Swiss francs ($2 million), the Ethics Committee’s Adjudicatory Chamber told R-Sport on Tuesday. The FIFA Ethics Committee has dropped corruption charges against former UEFA head Michel Platini accused of allegedly transferring 2 million Swiss francs illegally, ANSA news agency reported Tuesday. FIFA will decide on reinstating Indonesia and Kuwait’s full membership in the football organization at the next Ordinary Congress in Mexico, according to a decision at the Extraordinary FIFA Congress currently underway in Zurich. It is wrong to endlessly slander ousted FIFA President Joseph Blatter as his achievements in football development is hard to underestimate, Sheikh Salman Bin Ebrahim Al Khalifa, president of the Asian Football Confederation (AFC) and FIFA presidential candidate said. Corinne Blatter-Andenmatten, daughter of suspended International Federation of Association Football (FIFA) president Joseph Blatter, said that unknown persons have sent letters to her father threatening to murder him, German media reported. 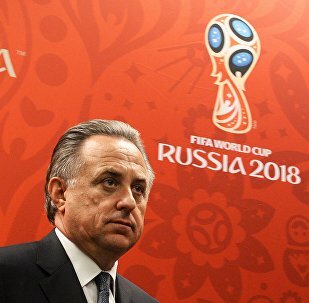 Russian Sports Minister Vitaly Mutko said that the FIFA corruption probe had led to the organization’s system being paralyzed. 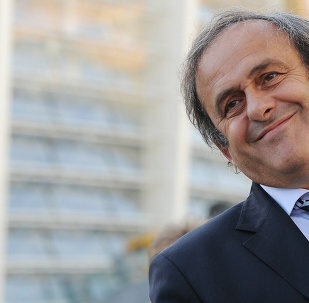 A 17-year old UEFA document could prove that UEFA President Michel Platini was not involved in corruption, media reported Sunday. The adjudicatory chamber of the FIFA Ethics Committee decided to institute formal proceedings against FIFA President Joseph Blatter and UEFA President Michel Platini. A FIFA committee rejected an appellation by FIFA President Joseph Blatter and UEFA President Michel Platini against their provisional 90-day suspension from organization by the FIFA ethics committee amid a corruption probe, FIFA said in a statement Wednesday. Switzerland started a criminal case against FIFA chief Joseph Blatter, suspected of mismanagement and misappropriation. One of the seven FIFA (International Federation of Association Football) officials detained in Zurich, Switzerland, amid a large-scale corruption scandal, has been extradited to the United States, media reported, citing the Swiss Federal Office of Justice (FOJ). Effective immediately Chuck Blazer is banned from FIFA forever. Swiss Attorney General Michael Lauber does not exclude interviewing the president of FIFA Joseph Blatter in relation to FIFA corruption case. 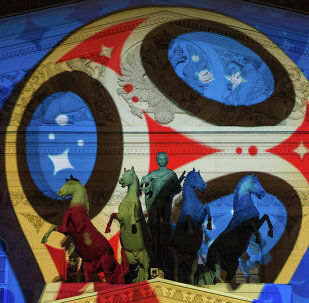 65 percent of Russians think the criminal investigation against FIFA was a hidden attack at the 2018 World Cup in Russia, according to the poll. Interpol, the international police organization, suspended its 20 million euro ($22.5 million) partnership agreement with FIFA on Friday due to corruption allegations, which have hit the world football governing body. 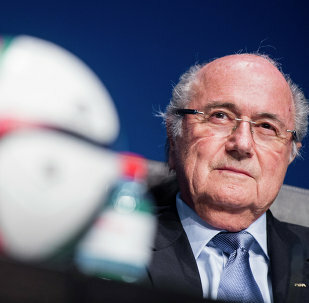 Joseph Blatter’s successor is expected to be elected on December 16, 2015. FIFA on Thursday refuted media reports that the world football organization considered stripping Russia of the right to host the 2018 World Cup over the Ukraine crisis, a source in the FIFA press service said. England won’t host neither the 2018 nor 2022 World Cups if the bidding for the two football tournaments is voted on again, said Greg Dyke, the chairman of England’s Football Association (FA), ESPN reported.